Department of Fair Trading “Builder Check” License 60007C – Your Style is an honest and reliable building company and is determined to operate on a best efforts and reputation policy. 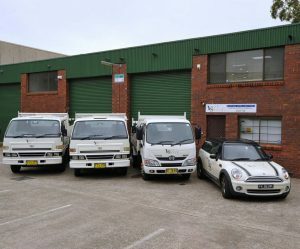 There has never been a claim or dispute lodged through the Building Services Corporation, Department of Fair Trading or Court action. Your Style has been operating on the northern beaches for 30 years. Our Builder, Colin Macdonald, has some 35 years experience and has personally built some 400 1st floor additions. Each project has a Site Supervisor overseeing the project. Our Concept drawings are accurate measured drawings with full dimensions not hand drawn vague sketches of what is proposed. How could anyone make a commitment worth hundreds of thousands based on plans without dimensions or vague sketches and verbal promises. 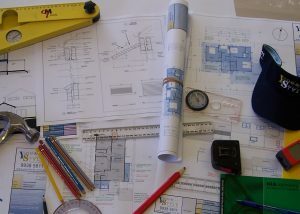 Col Macdonald and our Designer, Mark, work together to produce the best designs and highest quality building practices to produce a far superior home extension than elsewhere. Our tradesmen are first class and have been working with our company for many years; our tradesmen know the standard of work expected on projects and deliver. We have never had a job go past the specified time detailed on our contracts, usually 20 or 22 weeks. Our stairs are custom designed to your taste and style. Our Frames and Roofs are hand cut and made on site, the old-fashioned way, no prefabricated frames and trusses off the back of a truck and knocked into place on any of our sites. Our insurance policies i.e. 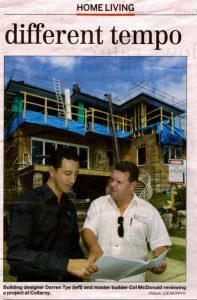 $20m Public Liability, All Construction Works, Workers Compensation – we have never needed to make a claim on these policies. Your Style have a “Code Of Practice” and Work Cover Safety systems in place to protect workers and clients from any existing or potential danger on site. Colin and Julie Macdonald and their sons, Chad and Wade, live locally and are devoted to the area and its community. 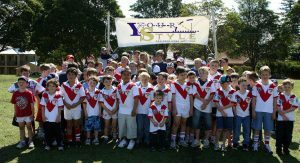 Your Style sponsor the North Curl Curl Surf Life Saving Club with a 3 new surf boats, Harbord Devils JRLFC and Valley United Rugby League Clubs, CUBA Boardriders, St Pauls Europe Rugby Tour and Womens A Grade Touch Side. Col and Julie believe in the philosophy of supporting other small businesses in the area and use local people and businesses for the day to day operations. Local Council Inspectors have used Your Style for their own home additions due to the methods of building used i.e. master builder techniques –Building frames and roof the old fashioned way. The above facts are exactly that, facts, we are very proud of our work and believe when comparing builders these facts are imperative to homeowners and impact heavily on the end result and the entire process of the home addition.